Feather rock fragments, bonded with tinted concrete, meld with a large piece of Malaysian driftwood in this two-island composition. The billowing shape of the driftwood seems to be carrying the rocks, plants, and crane along through the mist and past the neighboring island. 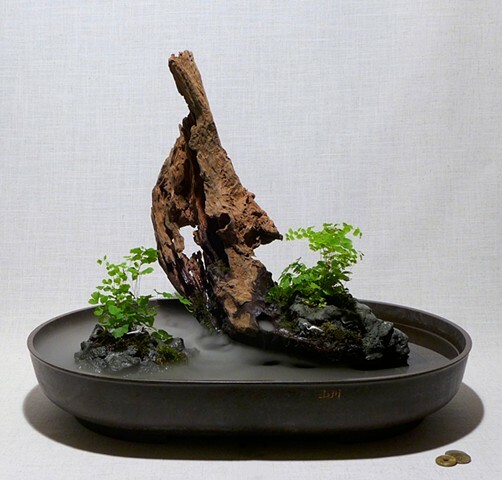 Mist and water bubble up from a fogger and pump hidden inside the base of the driftwood.